13 ½” X 19” serigraph print. 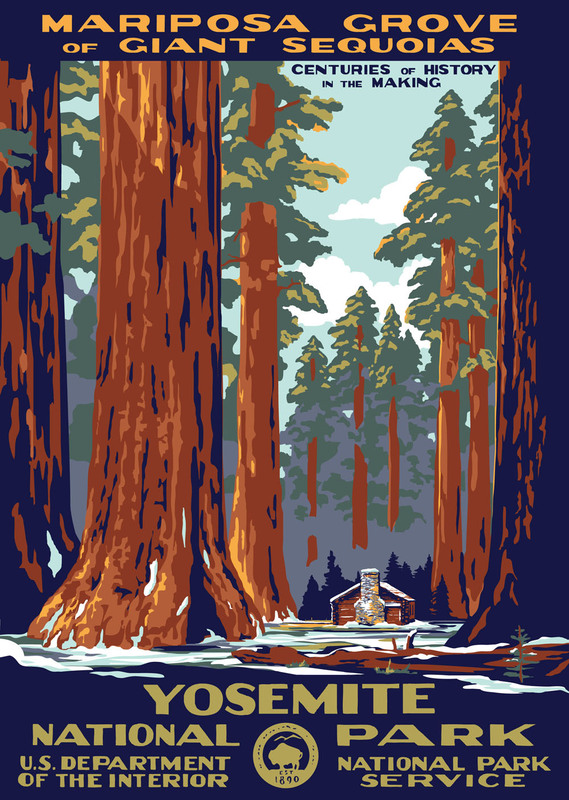 We initially designed this poster at the request of Yosemite Conservancy to be gifted to donors who helped fund the current restoration of this grove. The limited edition version of 150 was one of only three that I've received permission to use the 1938 Department of the Interior Seal (the other two were Arctic Refuge and our DOI Museum 75th anniversary print). We are now offering this open edition version with our standard WPA seal design. The building featured was built by the CCC and is currently a museum. Mariposa Grove is currently under restoration and will be open in the Spring of 2018.